I feel that 2018 has been the year where brands just copy eachother both in terms of drugstore and highend brands. 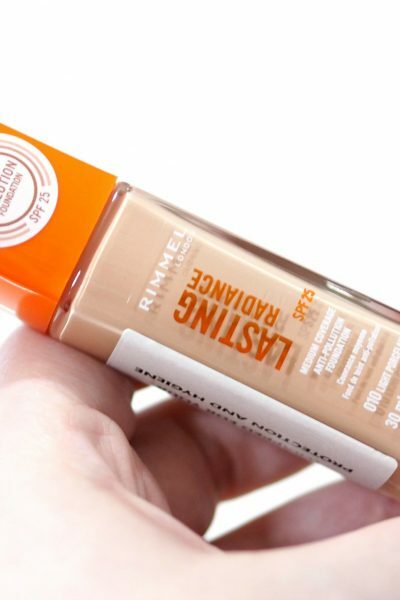 When brands first started copying others, it was seen as a big scandal but it’s becoming the norm for the beauty industry and I’m not sure how I feel about it. 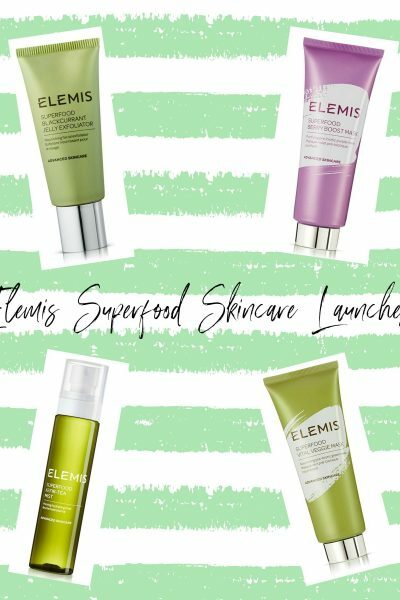 One brand however I feel aren’t just spitting ‘dupe’ products continuously like Aldi or Revolution are MUA. 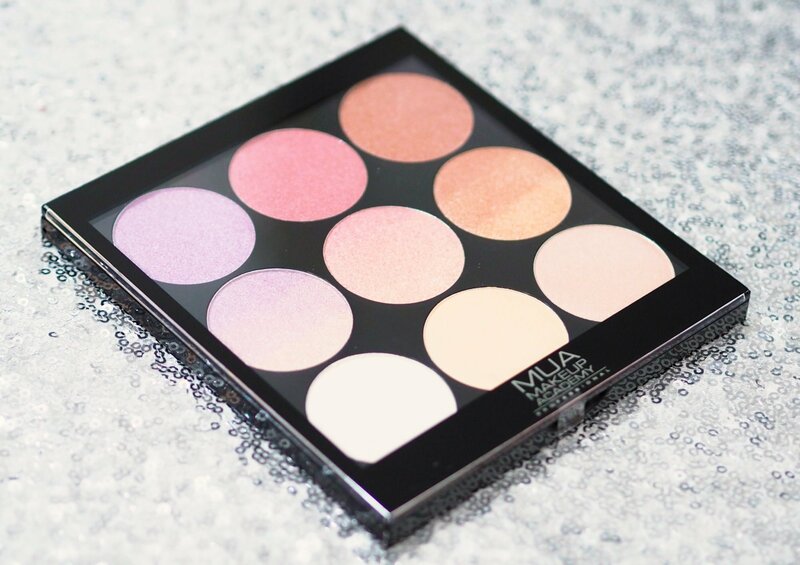 I’ve really enjoyed everything I’ve tried from MUA this year and I like that they’re launching some unique products, one of which being the MUA Glimmering Gemstones Gradient Light Palette £10. I’ve never seen a gradient highlighter palette within the drugstore so I couldn’t wait to give it a try. The MUA Gradient Light Palette is available in three different versions; Glimmering Gemstones, Bronzed Delights and Golden Glow. Each of the palettes are £10, contain nine large powder pans and a very generous 22.4 grams of product working out at 2.48g per pan. 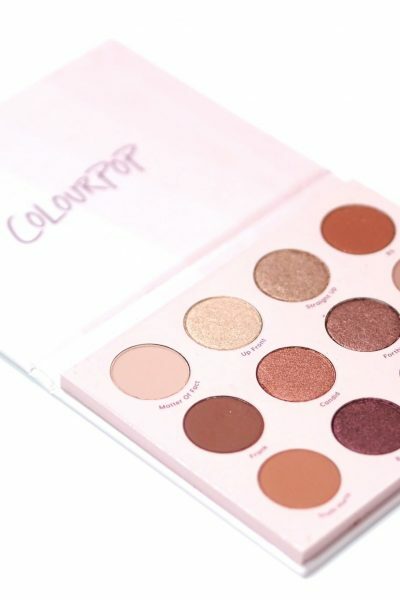 From the three palettes on offer, I have the MUA Glimmering Gemstones Gradient Light Palette which really appealed to me as the shades were so unique for an highlighter palette. The Bronzed Delights Palette as the name suggests, contains deep shades and Golden Glow contains light to medium gold toned shades. The MUA Glimmering Gemstones Gradient Light Palette contains three rows of different finishes for the highlighters which I didn’t expect from the stock photos I’d seen online. The middle row contains the three gradient pans, and the top and bottom row are solid shades in comparison. The top row really surprised me as the three shades are actually duochromes and wow they’re pretty. 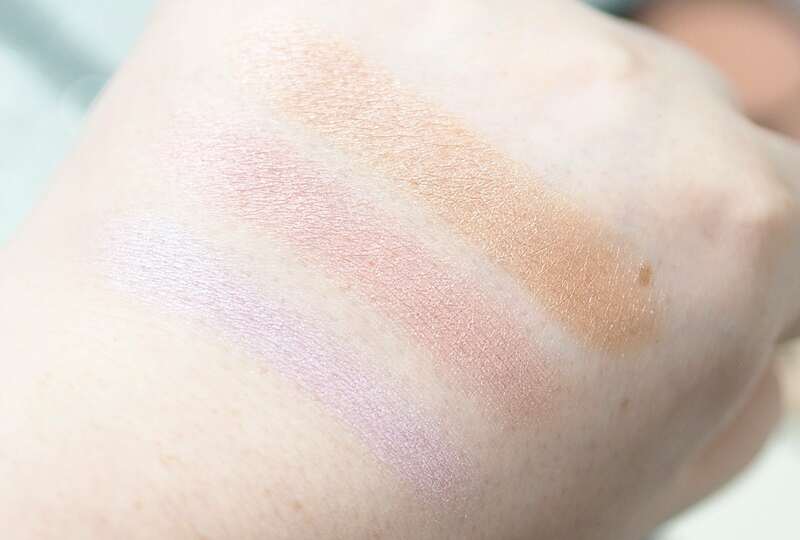 The first shade is a lilac with a blue shift, the second is pink with a gold shift and the third shade is peach with a lilac shift which is so unique to any other highlighter I’ve seen before but the amazing shift doesn’t translate very well in my swatch. 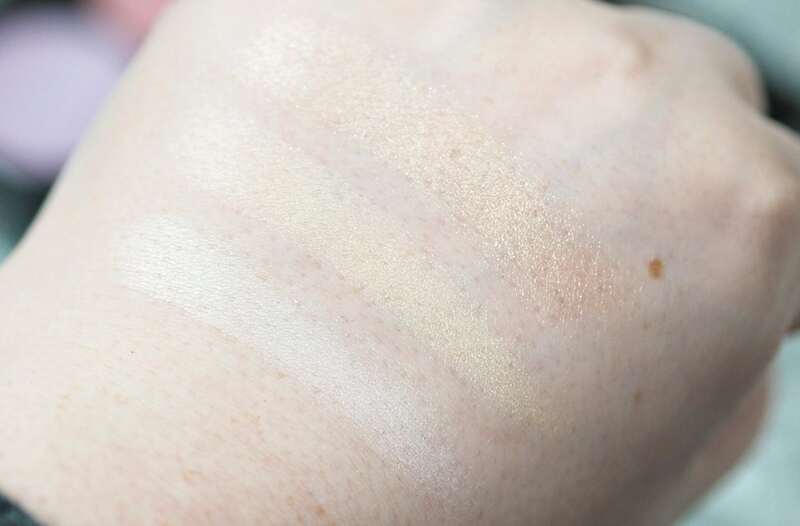 The middle gradient highlighters are very pretty and you providing you use a small brush, you can control which half of the pan you want to use or just blend them together like I did for these swatches. I like that the pans are large enough to allow you to choose which side you want to use. The first shade is a pale pink, the second is a rose gold and the third shade is a peach. 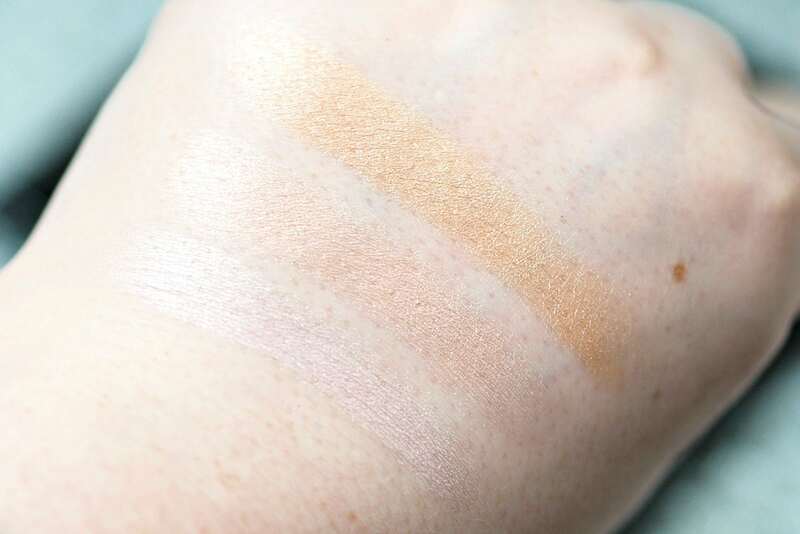 The last row features two more subtle, satin highlight shades with the first being a pale white and the second a pale yellow toned gold but the third is as shimmery as the top two rows and is a pale rose gold. I think the MUA Glimmering Gemstones Gradient Light Palette is beautiful especially for the price and it’s unlike anything I’ve seen from any other brand, and it’s amazing it’s only £10 for so much product. The shades in the top row are too deep for my skintone to be worn as highlighters but they’re stunning as eyeshadows due to their high shine, duochrome effect but £10 for nine shades is amazing. 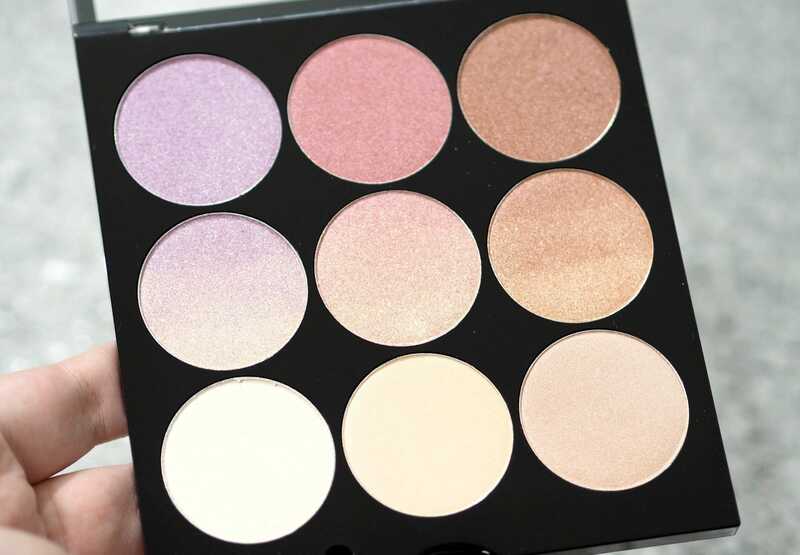 I’d love to know your thoughts on the MUA Glimmering Gemstones Gradient Light Palette?